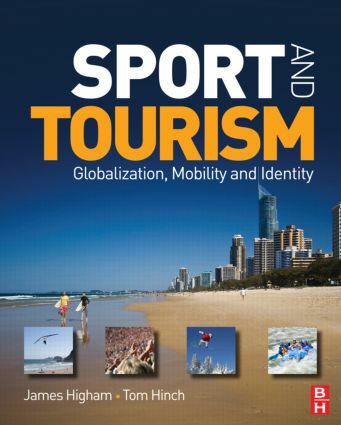 Sport and Tourism: Globalization, Mobility and Identitymarks a new era in sport tourism texts. Written by global experts whose previous collaborations have been integral to the development of the field, the book applies key social science concepts and issues relevant to the academic study of sport and tourism. Set to be the an essential text for any student or academic in the field, this bookcements and advances previous studies by building upon existing literature, while extending the field by exploring avenues of study that are yet to be comprehensively addressed. The latest collaboration by internationally renowned authors applies new theoretical perspectives for the advancement of sport tourism. "Sport and Tourism claims to be a groundbreaking book on sport tourism, and upon closer scrutiny, it certainly delivers on this bold statement of intent. I would have absolutely no hesitation in recommending this book as a key text for any course of study that explores sport tourism." Introduction 1. Sport and tourism 2. Globalization, mobility and identity 3. Globalization, mobility and identity 4. Sport and tourism in a global world 5. Sport and contemporary mobility 6. Culture and identity. Activity 7. Globalization and the mobility of elite competitors 8. Spectatorship and spectator experiences 9. Recreational sport and serious leisure. People 10. Authentic experiences; Temporary sport migrants 11. Transnationalism, migration and diaspora. Place 12. Modern landscapes and retro parks 12. Place attachment; Sport and place competition. Conclusion - Globalization, mobility and identity: Building theoretically informed insights into the study of sport and tourism.